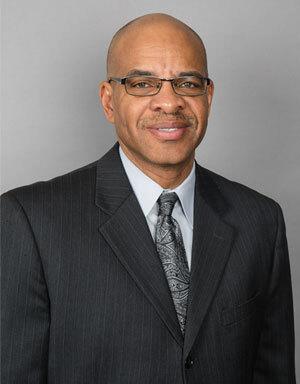 Timothy L. Smoot has nearly 30 years of experience in finance and accounting, with the majority concentrated in small and minority businesses. Mr. Smoot is senior vice president, chief financial officer and co-founder of Meridian Management Group, Inc.
As a Partner, Mr. Smoot is MMG Capital Partners chief financial officer and assists in the financial planning and analysis for the Fund, its idle fund investments and liquidity requirements. He will be primarily responsible for the preparation of the Funds financial reports. He will also be materially involved in the analysis, review and approval of investment proposals and the continual monitoring of portfolio investments. From 1989 to 1995, Mr. Smoot was the deputy director of the Maryland Small Business Development Financing Authority (MSBDFA). Under his assistant directorship, MSBDFA provided nearly $37 million in financial assistance to small, minority and women-owned businesses throughout Maryland. During the four years prior to becoming deputy director, he served as manager of MSBDFA's Contract Financing Program. From 1983 until late 1985, he served as a staff auditor and senior auditor for a Baltimore-based minority-owned certified public accounting firm. The firm’s client base consisted almost exclusively of minority business enterprises. He performed and supervised compilations, reviews and audits of financial statements and management and tax advisory services to a variety of retail, service and non-profit organizations. From 1980 to 1983, Mr. Smoot served as a staff internal auditor for Equitable Bank, NA, formerly one of Baltimore's six largest full service banks. During his tenure at Equitable Bank, he performed financial and operational audits on the bank's commercial, mortgage and consumer lending divisions. Mr. Smoot is Secretary of the Board of Directors of Community Capital of Maryland and serves on its Investment Committee, the Baltimore City Minority Business Enterprise Certification Appeals Board and the Baltimore Youth Alliance, Inc. Tim is also a member of the Children and Youth Ministries at the Pennsylvania Avenue A.M.E. Zion Church where he teaches Sunday school. He received his bachelor’s degree from Morgan State University in 1980. In 1985, Mr. Smoot received his certification as a public accountant in Maryland. Meridian Management Group, Inc. is a professional asset manager for economic development and private equity funds. The Management Group and its affiliates bring in excess of 100 years of experience in financing and fostering small and medium sized businesses.